The Monster Tower single light set is a pair of high intensity 55 watt halogen tower lights marked at a price that will fit any budget. 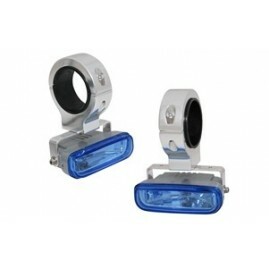 The single light set also includes our anodized aluminum mounting brackets that fit ANY wakeboard tower with a tubing diameter of 1-1/2" to 2-1/2". 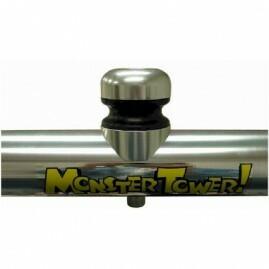 Monster Tower now has a tower mountable navigation light available. 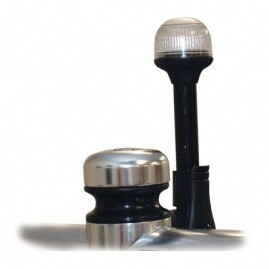 No more worrying about not having the navigation light at the highest point on the boat. The Monster tower light bar is shipped with two lights facing forward and two facing rear but can easily be configured to have all four lights facing the same direction. 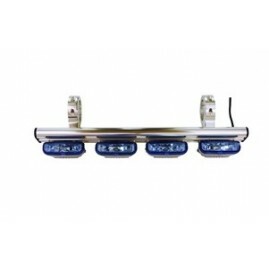 Our light bar is strong enough to withstand tough boating conditions and includes anodized aluminum mounting brackets. Light the way for your Monster Tower with a Monster 20 inch LED lightbar. 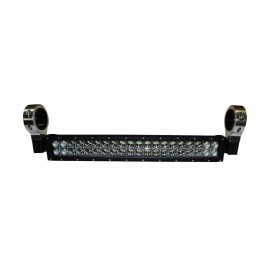 This lightbar features 40 LED lights in a double row for maximum light coverage. With a combo beam pattern providing both flood and spot coverage, this lightbar provides maximum light, with low power comsumption. These single barrel speakers are available in Polished and Anodized, or powder coat black and include billet mounts with proven coaxial drivers that make them truly different and of course the best sounding tower speakers available for under €700,00. Monster's Over the Top Bimini features polished and anodized tubing and superior caliber hardware so your tower and your top look better longer. 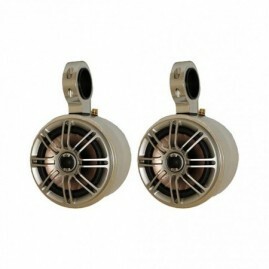 Because it is designed to mount over your boat's tower, it affords optimum headroom. And like all Monster Biminis, the Over the Top Bimini is made with Sunbrella fabric - the best marine fabric on the market. 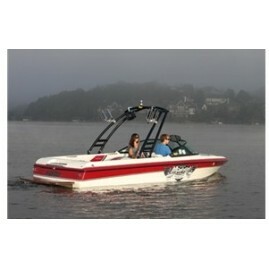 You know a Bimini top is necessary for a full day on the water, but you also want some style and some storage too. This Bimini top has it all. 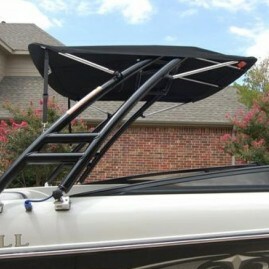 Multiple levels of adjustment means two sizes fit virtually all wakeboard towers. 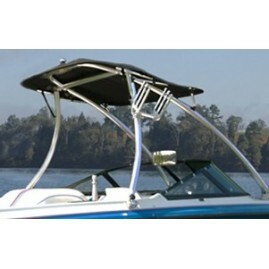 The sleek style means there is no Bimini frame in your way and blocking your view. The original Monster universal-fit wakeboard tower, the MT1 features double header bars for additional strength and accessory mounting area. This tower will not only transform the look of your boat, but also potentially increase its value. The MT2 universal wakeboard tower is not only strong, but sleek in its appearance with its gracefully curved legs. 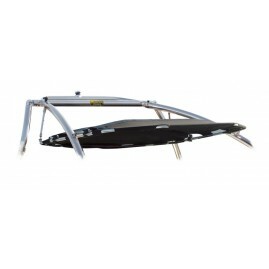 It is guaranteed to fit virtually ANY boat with a 60” – 102” beam and is ideal for boats with larger windshields. 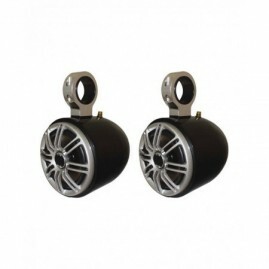 The leg design makes the MT2 approximately 6” taller than the MT1 . 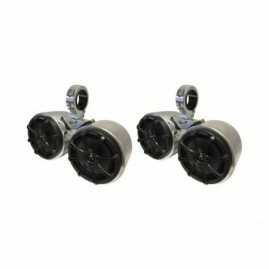 The Polk double barrel wakeboard tower speakers are affordable performance! 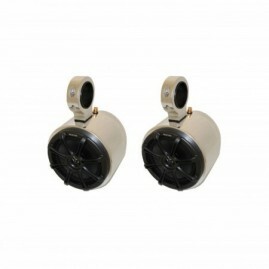 Four cans, two quick release mounts and FOUR (4) coaxial drivers, what a deal! 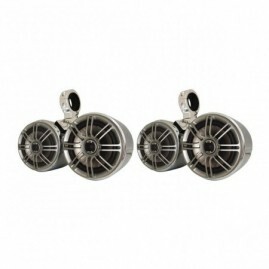 They can also be combined with the single barrel speakers to provide a “six pack” on a Monster Tower for insane tower audio. Don't pass these up! 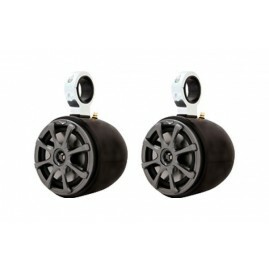 Our Kicker double barrel wakeboard tower speakers bring a new level of affordable performance. 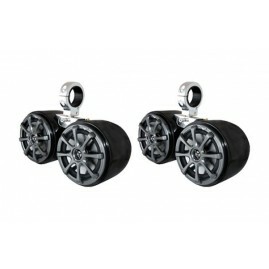 Four cans, two quick release mounts and FOUR (4) coaxial drivers make these the most affordable tower speakers that also look great and sound great too!